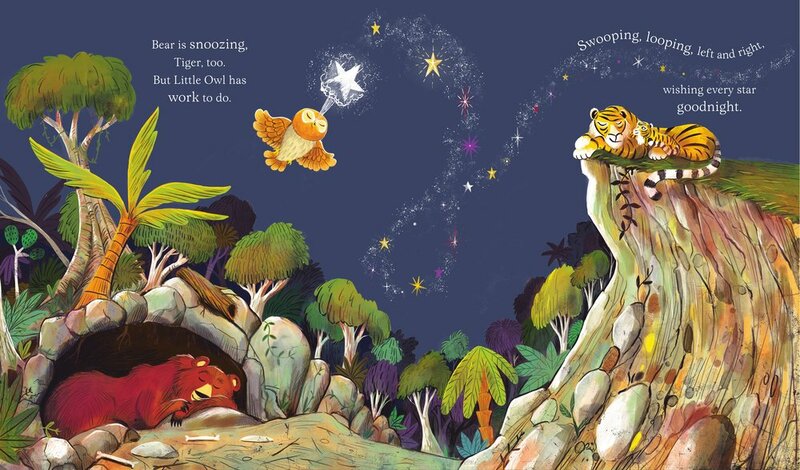 While all the other animals sleep through the night, Little Owl has work to do – she needs to blow the stars out one by one to make way for morning. 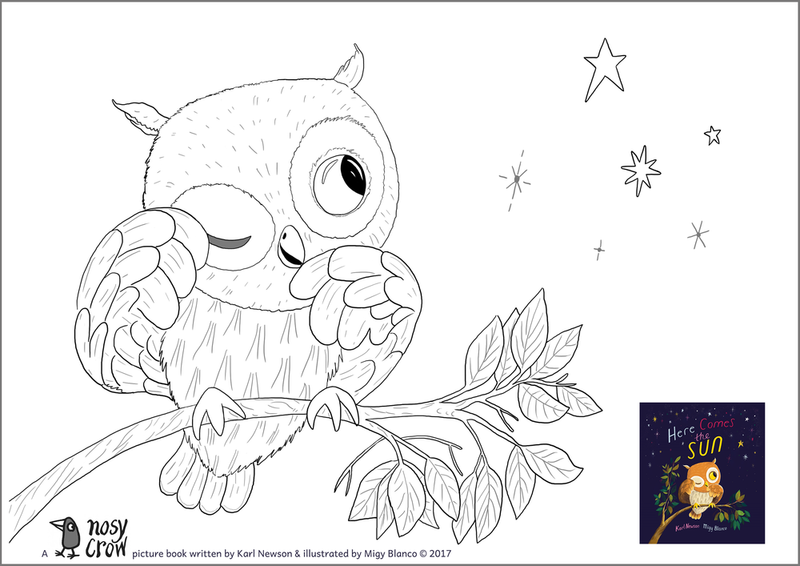 A reassuring picture book that will have little ones ready for a peaceful night’s sleep. 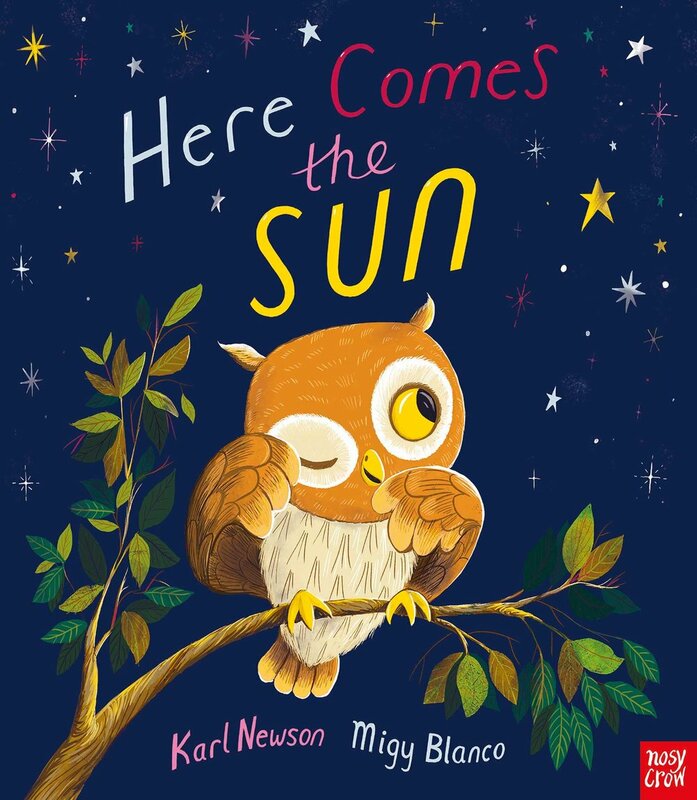 Here Comes the Sun featured on CBeebies as a Bedtime Story, read by George Ezra, on 1st June2018! He read it superbly! I’m a big fan of George’s, so you could say I was in Paradise! Cheers CBeebies and thank you George for a lovely reading! 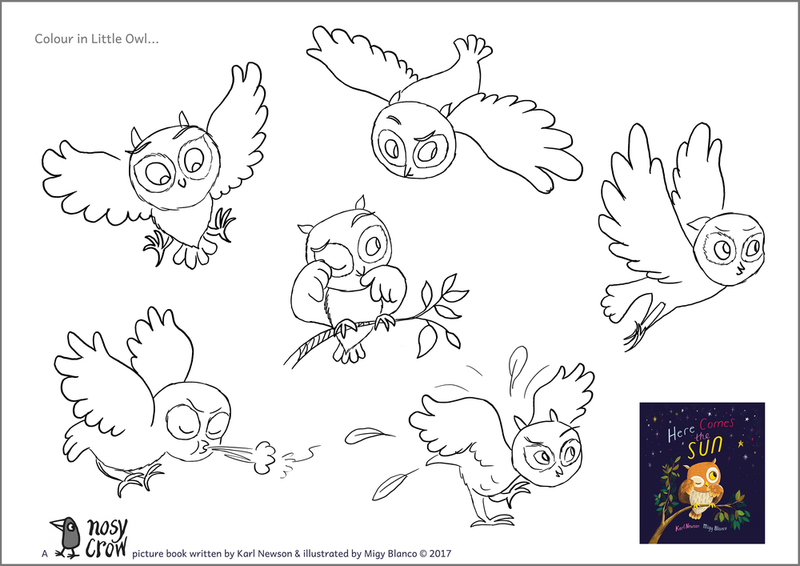 Here's a little look inside the book... we meet Little Owl at dusk and follow her around the world as she blows out each and every star in the sky... but wait! Oh no! A shooting star! Will Little Owl catch it in time for the morning sun? 'Superbly somnolent sounding, Karl Newson’s gentle tale has just the right ingredients for a bedtime read aloud: a languid rhyme with repeated refrains, and a hypnotic rhythm; and I love the whole notion of blowing out the stars. DID YOU KNOW? The Owl Cluster is a real constellation of stars in the night sky. You can spot it with binoculars or a telescope. A real life Little Owl! 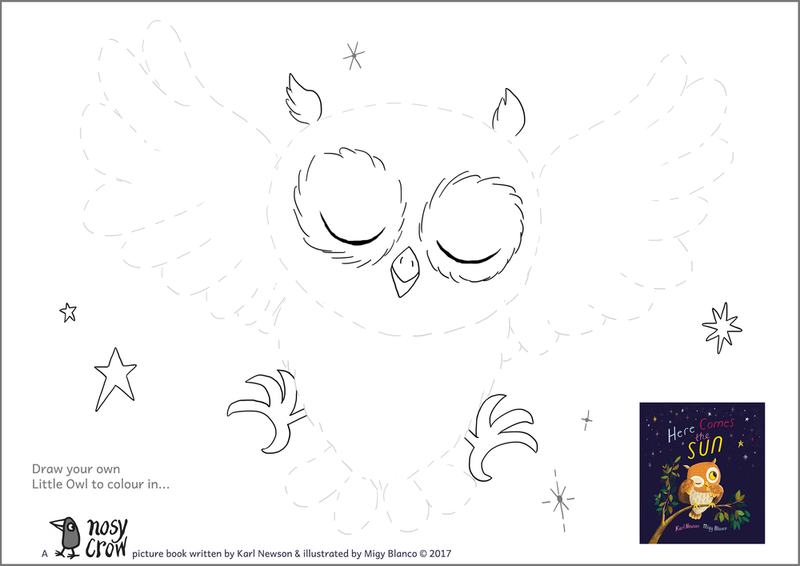 Here are some Here Comes the Sun activity sheets, full of fun things to do, from dot to dot to colouring in, to drawing your own star constellations! Have fun!